We’ve just witnessed the national election and seen a huge change in the landscape inside Washington, but will we see the same sort of change here at the FASF? The number of openings to be filled in this coming election are only four (4), but we’ve had ten (10) candidates successfully file their declarations and bios before the deadline. This excess of candidates has never happened before. The Elections Committee, under Chair Bud Canfield, (L), helped do an exceptional job of recruiting and processing. And then five old timers, including our two past Presidents and two other formerly retired Trustees, threw their hats into the ring. Quite a race! The majority of the founding Board of Trustees was primarily composed of retired residents of either Columbus or Deming, NM. It has long been discussed and felt that it was essential to bring in some younger members to the Board to assure the continuation of the Foundation. Trustees needed to be recruited who had the kinds of talents, skills and experience that would increase the organization’s chances of success into the future. Accordingly, Bud and Dr. Kathleen Martín, helped round up five candidates from among our active membership ranks; five talented and enthusiastic new faces. This Aerodrome issue will give you a chance to become acquainted with these new candidates and to study their qualifications for the jobs they are seeking. You’re most likely already familiar with the FASF retirees, but their bios will also be presented here so you can refresh yourselves with their backgrounds, as well. This time, all candidates are either from or work in Columbus or Deming, NM, except for Kris Lethin, who lives in Alaska. 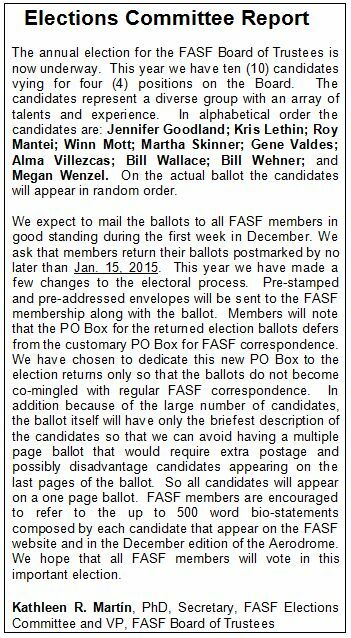 The FASF Bylaws and elections procedures will be followed to the letter this year, and your Elections Committee has also taken additional steps to ensure the election’s fairness. A native New Mexican, Megan was born and raised in Grants, NM. She was an active member of 4-H for 12 years and also became an active competitor in the New Mexico Rodeo circuit. She also played volleyball and basketball while in High School. An outdoor enthusiast, Megan also enjoys hunting and wakeboarding. She graduated from New Mexico State University (NMSU) in Las Cruces, where she obtained her Bachelor’s Degree in Agricultural Business with a minor in Marketing. While attending NMSU she was on the Rodeo Team and active with NAMA (National Agri-Marketing Association). In 2010 her team won the NAMA National Championships. 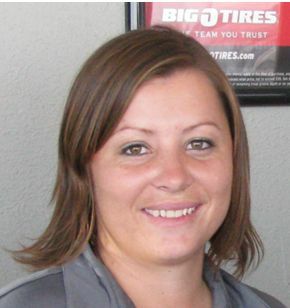 That same year she and her husband Cal took over the Big O Tires franchise in both Deming and Silver City, New Mexico, which they continue to operate. Megan is the Facility Manager in Deming. In her rare spare time, this FASF member continues her equine pursuits, keeping, training and regularly riding her own horses outside of Deming. Roy Mantei comes to the FSAF, retired, after 40+ years in Manufacturing, both in and out of the aerospace arena, with a detour as a student pilot (Cessna 152, “low and slow”). He comes with aviation blood in his veins; his father was a ball turret gunner in a B-17 in WW II, and with Roy’s five uncles, worked at Wright Aeronautical in Paterson, New Jersey, building aircraft engines. Roy managed the FAA Repair Station for Eaton Corporation’s Aircraft Controls Division, and was an FAA Certificated Repairman (Instruments). A graduate of Rutgers University in Engineering, Roy served in the US Navy during the Viet Nam War as a Mandarin Chinese Linguist. After mustering out of the Navy in 1971, Roy took his passion for detail and organization into a career in Industrial Management, in the Quality and Environmental areas. A native of New Jersey, Roy moved to Deming in 2010, and currently serves on the Board of Directors of the Deming Luna County Chamber of Commerce. Alma brings an unusual set of much needed talents to the FASF. She was born in Casas Grandes, Mexico, which was the very first American foreign Army Airfield base ever set up and then used during the Punitive Expedition of 1916-17. Alma left her hometown in Mexico to emigrate to the United States when in her early twenties. In her home town, she worked at numerous jobs, one of which particularly appealed to her: banking. She loved this work in finance and quickly became motivated to study accounting. Once in the states she immediately set about becoming proficient in English and worked hard at her academic studies. A young single mother, she nevertheless worked full time while going to the University of Arizona in Tucson, where she majored in Accounting and successfully obtained her Bachelor’s degree. Before this she obtained Associate degrees and various related certificates in Accounting Sciences and Business Administration from Pima Community College, also in Tucson. Alma has worked as an accountant, bookkeeper and business manager here in New Mexico and also in Arizona. 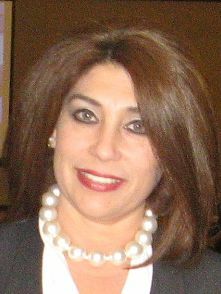 As a manager she has honed her skills in areas such as: Business Planning; development of Employee Guidelines and job descriptions; Market Research and Data and Cost Analysis; implementation of internal controls for Accounts Receivable and Payable, and the production of regular Financial Statements and Operational Forecasts. Alma has worked in the manufacturing industry as well as in retail, automotive service, legal services, and restaurant management. In addition, Alma has continued to operate her own Public Accounting and Tax Preparation business from her own offices in Deming, NM. Prior to her accounting experiences she worked in various areas of customer relations and services. Her work experience has produced excellent references, especially as to her special financial, organizational and management talents; know-ledge of numerous business software applications; and in internal and external communications. It has also been pointed out that she is an excellent team player with a strong focus on operational detail. Her most recent major professional experience entailed the market research for and the implementation of a new business plan for what has already become the busiest and most successful Deming convenience market, gas station, car wash and restaurant operation. After supervising the construction operations that succeeded in producing this new business, she now manages it. Although she has lived in the States for many years, Alma has maintained her proficiency in the Spanish language. Even though still comparatively young, she is already the proud grandmother of a young grandchild. Alma joined the FASF to further her interest in American-Mexican history and because she feels it important to contribute one’s talents to volunteer organizations whenever possible. Furthermore, because her home town was the first foreign based operating airfield for what was then a very fledgling military aviation campaign, she feels a special connection to that small Army airplane detachment known as the First Aero Squadron! Jennifer is a docent at the Columbus Depot Museum in Columbus, New Mexico. She brings to the First Aero Squadron a willingness to do what is needed and a knack for bringing together people with similar passions and interests. Jennifer’s first career was in networking non governmental organizations (NGOs) and charities, including an assignment in the inland rainforests of Costa Rica working with an indigenous group called the Quitirrissi (or Huetar), looking to market their crafts and support their community. Most work occurred in New York and Los Angeles, such as using United Nations facilities to bring together groups of landmine victims in Liberia and Sierra Leone and network their efforts with those of United States-based Quaker organizations. In 2004 she retrained as a historian and since then has been working in history education. In graduate school she organized conferences emphasizing the history of the Western United States, put together campus history exhibits, and worked in the campus library’s Special Collections department. In 2009 she received her M.A. with emphases in United States History and Public History, a subfield focusing on heritage tourism, history museums, and archiving practices. She taught history and critical thinking classes at Metropolitan State University of Denver, which caters to older, low-income, and former military students. 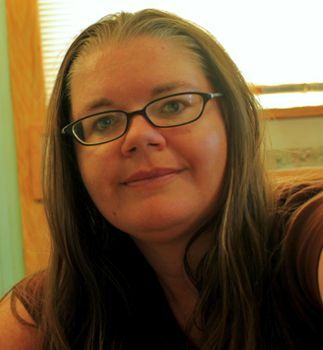 While working with Metro State, she took on a research project to document and preserve small town and rural history. 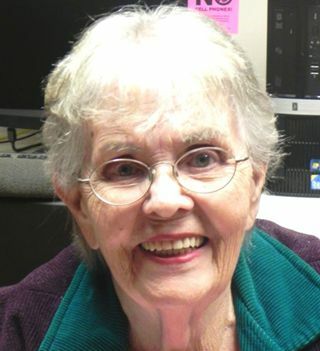 Shortly into the project, she realized there was a demand for traveling public historians to teach people in small towns how to conduct oral history interviews, take care of important papers and letters, and encourage people to write their own memoirs. With more and more towns asking for seminars and lectures, this small project transformed into a history research and photography business called Big Year Colorado, which uses photography and book sales to support pro bono work in small or vanishing communities. Eventually the travel demands of Big Year Colorado no longer allowed enough time for teaching at the university, and it has become a full-time pursuit. In May, Jennifer completed Volume 1 of the first written history of her hometown of Lochbuie, Colorado, located on the northeastern Colorado plains. In August she finished a large K-12 curriculum packet for statewide Colorado schools based on Keota, Colorado, which had a booming population during the 1910s and 1920s but today is nearly abandoned. Other Big Year Colorado projects have included designing rack cards for welcome centers and guiding small-town tourism marketing to reflect the true appealing character of rural places. When she is not living out of her camper in Columbus, she lives with her high school sweetheart and husband of 20 years, David. David writes computer programs for a domestic oil company based in Denver, Colorado. They have three pets: Bunny, a three-legged dog; Leela, a one-eyed cat; and Mesa, a half-brained Chihuahua mix. Jennifer looks forward to working with the Columbus Depot Museum and all the other groups that have an interest in Columbus-area history, including the FASF. In Bill Wallace, the FASF has an unusual member, since this young candidate was actually raised in Mexico in the very town selected by General “Black Jack” Pershing to Headquarter our country’s first foreign military airfield: Casas Grandes, Mexico. Although born in El Paso, Texas, Bill grew up in Mexico. Consequently, he is fluent in both English and Spanish. Since one of the primary missions of the FASF is to further constructive relations between our two nations, Bill’s fluency in both languages and cultures are obvious advantages for the FASF. Bill brings to the Foundation other practical talents and experience. First of all, he is a successful entrepreneurial business manager and a genuine New Mexico and Mexican history aficionado, especially intrigued by the mission of the FASF, insofar as it is all about the birth of American Air Power in Columbus, NM, where Bill works every day as the manager of one of the largest stockyard operations anywhere along the lengthy Mexican border. Bill’s family goes back four generations in both New Mexico and in North Central Mexico, where he still owns and runs one of Mexico’s largest ranches, the famous Hacienda Corralitos Ranch near Casas Grandes, where General Pershing’s principal Mexican Headquarters was located. 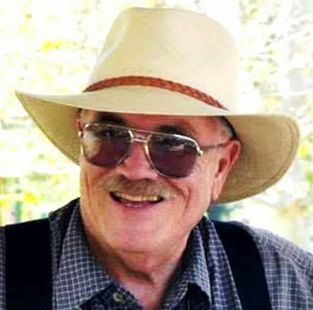 Books have been written about his family ranch and its colorful history. It was on this Wallace family ranch that the famous U.S. Army Buffalo Soldier’s 13th Cavalry was garrisoned, and from which it successfully fought a famous battle against the Villistas, while dangerously outnumbered, with only 100 Americans to 500 Mexican insurgents. On his way to attack Columbus, Pancho Villa wantonly raided the Wallace Family ranch, confiscating fresh mounts for his cavalrymen. 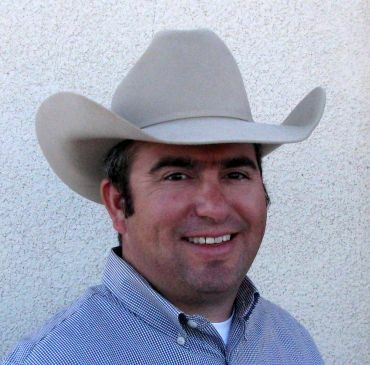 Bill’s educational and work experience are mostly focused upon agriculture and ranching. Prior to Columbus, he was general manager of the large Import-Export facility for Livestock Border Crossing and Quarantine at Santa Teresa, NM. That operation was also multinational. In Santa Teresa, he supervised 40 employees in a wide range of responsibilities, backgrounds, and educational levels. These employees were mostly administrative, field, and maintenance workers, but he also oversaw the security contractors. The complexity of the agencies involved and the different goals and regulations that each one of them enforces, made this a particularly challenging task. To illustrate the unusual complexities of this sort of work: The agencies and organizations involved in these operations were, for the United States, the USDA, Department of Homeland Security, Customs and Border Protection, Department of Transportation, New Mexico Department of Agriculture, New Mexico Border Authority, New Mexico Livestock Board, New Mexico Cattle Growers Association, Texas Cattle Feeders Association; and from the Mexican side, their comparable governmental and private agencies. Bill’s family ranch near Casas Grandes covers some 67,000 acres where he still supervises an average of 14 ranch hands. He graduated from New Mexico State University (NMSU) with a major in Agricultural Economics. Prior to entering NMSU, he attended the New Mexico Military Institute, where he had early exposure and training in to good leadership qualities. Kris, as well as being an FASF founder and our first webmaster, was a Trustee for five years. Owner and CEO of an Alaska based marketing and management firm, he is a Director and Treasurer of the non-profit Seldovia Community Medical Clinic. He has been Manager of the City of Seldovia, and in the Alaska House of Representatives. Kris was Deputy Director, Division of Energy, State of Alaska; and in 1992-94 he was the Governor’s Legislative Liaison. He was Consultant to the Aleut Corporation in the acquisition and development of the Naval Air Station at Adak; and then became President and CEO of the Kikiktagruk Inupiat Corporation involving management of 160,000 acres of Native Lands and a complete revamping of the financial and corporate structure. Kris is a past President of Alaska Oil Heat Institute; and of the University of Alaska Anchorage Alumni Association. Boy Scouts of America has awarded him the Silver Beaver for his local volunteer work. He is an instrument rated commercial pilot for single and multi-engine, land and sea airplanes. Kris is a volunteer pilot for the Episcopal Diocese of Alaska who divides his time between Seldovia and his home in Columbus NM. Martha was a founding Vice President of First Aero Squadron Foundation and a Board of Trustees member for six years. As a long-time local real estate broker, she was instrumental in locating and in the negotiations for the FASF land purchases. She has been for 23 years the owner and Chief Operations Officer of Martha’s Place, a Columbus hotel and cafe. Martha is a committed community activist, is a former Mayor of Columbus, and now serves on the Village Board of Trustees. As Mayor, she organized the first Columbus Historic Preservation Commission. Martha later became a member of that body, whose activities led to the formation of FASF. She has served for 7 years as a Trustee on the Deming-Luna County Senior Center; and in 2005 Governor Bill Richardson appointed her to the New Mexico Border Authority where she continues to serve today as Secretary. Martha is Vice President of the South Luna County Economic Development Group, and she currently serves on the First Aero Squadron Foundation Financial Planning Committee. Bill was Founding Chair of the Columbus Historic Preservation Commission under former Mayor Martha Skinner and was responsible for having the First Aero Squadron named to New Mexico’s 11 Most Endangered Historic Sites 2006. He organized FASF in 2007 and has served on the Board of Trustees since then and as FASF President 2010-14. He negotiated the first land purchase and runway extension; and is responsible for the current site acquisition. Bill served as President and/or CEO of the Village of East Davenport Assn., Iowa Nursery and Landscape Assn. and the Scott County Handicapped Development Center (involved in a multi-million dollar expansion.) He was co-founder and Charter President of the International Cessna 170 Assn. Bill served on the Davenport, Iowa Airport Commission and on its Historic Preservation Commission. He operated and sold two successful businesses and partnered with wife Mary in Historic Restoration contracting. 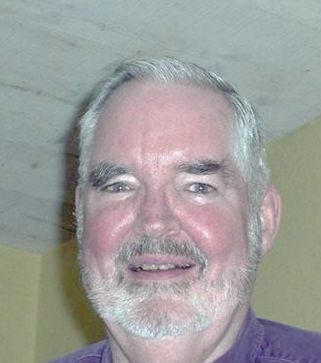 He served on the Scott College Board and taught landscape design there for 30 years. 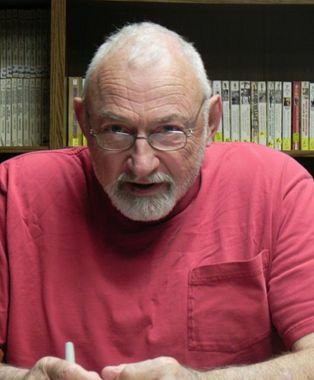 For almost 50 years Bill has written for national trade press and for the Quad City Times and has been featured on the PBS show, About Your House. He is an instrument rated private pilot and self-confessed history nut. Gene Valdes has been with FASF from the beginning and was the first Board President. He set up FASF’s corporate structure and secured the IRS tax-exempt status for the organization. 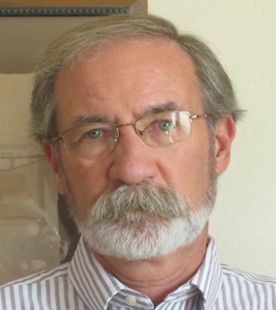 He has in-depth experience in working with nonprofits including United Way, St. Vincent Hospital, Catholic Charities of Southern NM and the American Legion (Gene is a Navy vet). 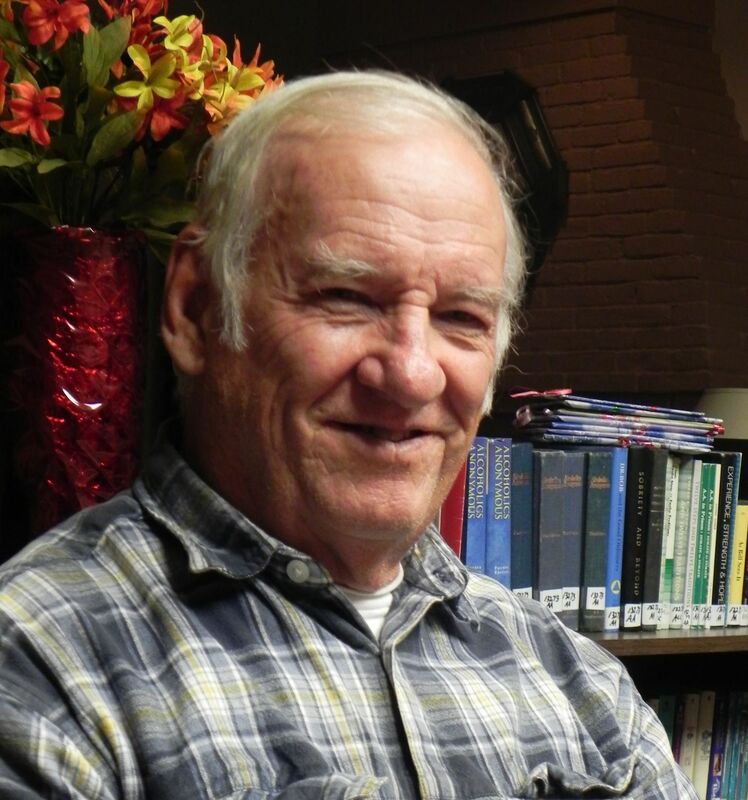 Due to his career (he is retired from the State where he served as the Personnel Director of an agency of over 2000 employees) and his volunteer work, Gene has extensive expertise in working with people, including dispute resolution, membership development and communications. He is the Editor of the FASF Newsletter The Aerodrome. Gene is currently the Treasurer of FASF and is an expert in fund raising and has led the “Buy-An-Acre” Campaign for FASF. He is well respected by state leaders and legislators, and has been asked to serve on important boards and commissions such as the State Personnel Board. He is known as a man of few words but a lot of effective action, and someone who comes through on any commitment he makes. Now that you’ve had a chance to study the new candidates and hopefuly become familiar with their skills and backgrounds, and to also refresh yourself with those who’ve already held FASF office, it’s time to remember our Buy an Acre Campaign. Thanks to many of you, we’ve had more contributions since the last Aerodrome came out, but we still have a way to go in order to retire our debt on the two separate parcels, which include the 1916 Airfield. 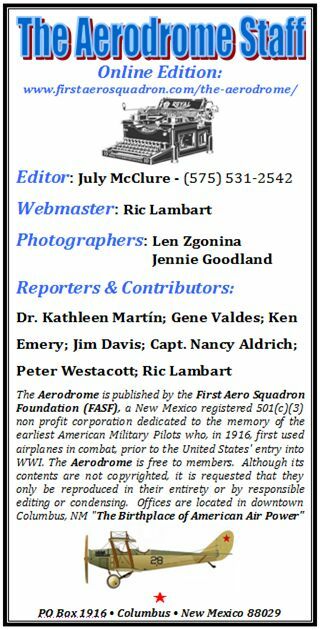 At this juncture, our Bookkeeping volunteer, Dorian Dodson, reports that we still have room for more donors to come aboard to assure that they or their honorees will be memorialized for posterity on the dedicated Airfield Monument. Gene Valdes, campaign manager, reminds us not to procrastinate, because, once the campaign is closed, your $250 per acre or other amount may arrive too late to assure that your designated name will appear on the Memorial Monument! You can reach Gene at (505) 660-1112 – or by email: alolfostr@aol.com. Don’t let this rare opportunity pass you by!